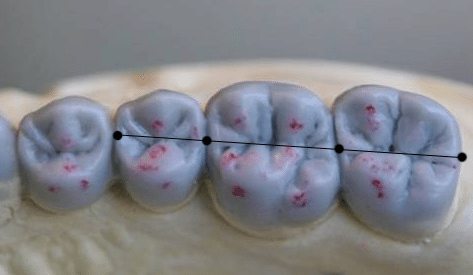 In this article, we give a complete and simpleifed guide to study the contact points and height of contour for dental anatomy section for the NBDE Part 1. 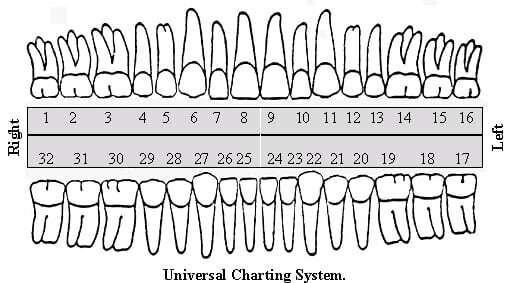 Height of Contour (Crest of Curvature) : is an imaginary line encircling the tooth at the greatest bulge of the tooth. They Form the Contact areas which the adjacent teeth contact each other mesailly and distally. They Protects the surrounding givngiva, maintains hygiene and promote healthy gingiva. They Prevent tooth rotation and medial drift from occurring and keeps the teeth stably positioned. Thus its important to replicate the tooth contour on a dental crown to provide the same function as the natural contour. Not Natural (may be due to bruxism): When area-to-Area contact occurs it leads to a scarping noise. Cervical Line = CEJ (Cemento-Enamel Junction): is the line that separates the enamel from the cementum in other words separates the Anatomically Crown from the Anatomically Root. The Direction of the Curvature is Towards the Apex on both the Lingual and Labial Side while towards the Occlusal/ Incisor Direction on both mesial and distal sides. Upper Centrals have the Greatest Curvature. Mesial Side has Higher curvature than Distal Side. Anterior teeth > Premolars > Molars. All Mesial contacts are more Incisal/Occlusal than the Distal Contact. The more posterior you move the more the contact point is towards the root direction. Lower centre has both contact points at the same level. 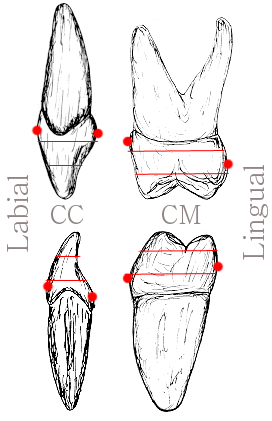 All Teeth have there contact point Centred Faciolingual ( slightly buccal of the middle 3rd ). 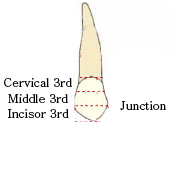 2nd premolar / 1st molar / 2nd molar contact point have a straight line that bisects every contact point. On the Facial side: height of contour of all teeth is at the Cervical 3rd.